During the months of June, July, August and September we organize from Monday through Friday, “Sports Day Care” for boys and girls from 3 to 9 years old. Our morning schedule is as follows: drop-off at 09:00 a.m. (you can leave your kid with our “good morning” service at 08:15 at no extra cost) with pick-up times at 01:30 p.m.. There are also pick-up times at 03:00 p.m., 05:00 p.m., and 08:00 p.m., (with lunch). You can also choose the afternoon option which starts at 04:00 p.m. until 08:00 p.m. , Activities include mini-tennis or tennis depending of the age, swimming lessons, other sports(soccer, basket-ball, mini-golf…), they also do arts and handcrafting (painting, mud, collage…) there are also other playing activities adapted to the different ages. The “Sports Day Care” has an inside playing ground of 300 square meters, two mini-tennis indoor courts, and a large classroom for arts and crafts. During the summer months, June, July, August and September we organize Multi-sports program for boys and girls from 9 to 13 years old and tennis camps for boys and girls from 13 to 18 years old . During Easter and Christmas holidays we organize sports day care for boys and girls from 3 to 9 years old, with tennis lessons, other sports and arts and crafts. 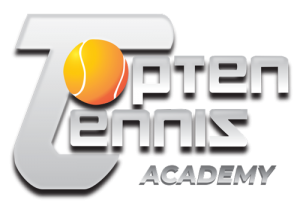 For boys and girls from 9 to 13 years old we organize Multi-sports programs with tennis lessons and different sports, and for boys and girls 13 to 18 years old we organize tennis camps, with tennis instruction and physical training.